As you can see, almost each programming language can be considered as the best one. In 2018, Java, C, C++, and C# took 4 out of 5 top places in the “most popular programming languages” ranking, but we won’t cover those giants in this article. Let’s talk about 3 modern promising languages that are gaining more and more attention from developers over the past years. All the three are powerful and multifunctional enough to make you want to learn them in 2019. Moreover, PHP is very friendly to novices as well as it provides infinite opportunities for professionals. PHP is also very flexible in solving problems for it has no strict rules on how to build features you need to implement in your projects. 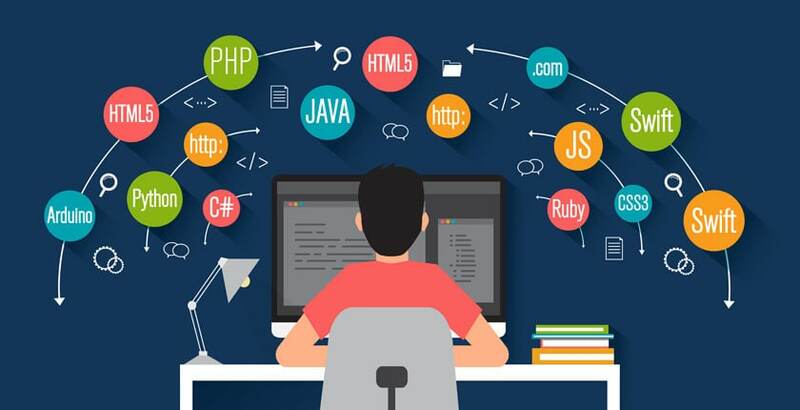 Although PHP’s development is focused on server-side scripting, you can do much more with it: create stunning, dynamic websites, web applications, and various web development projects; develop mobile apps and, of course, develop WordPress plugins. It is easy to learn, has easy database integration, and has numerous applications and uses. Python becomes a real “universal soldier” nowadays. This is a language with a relatively low entry threshold. Python is a dynamic typing language. This means that you don’t need to explicitly specify types of variables – the compiler will handle this task for you. Today, Python is being used in a huge range of areas – from web and games development to artificial intelligence. This language provides various packages for different purposes such as SciPy for engineering calculations, Pandas for data analysis and modeling, NumPy for mathematical operations, etc. Python can be a decent choice for web development. It is able to develop great client and server sides of a website using Django and Pyramid frameworks, CGI (Common Gateway Interface) scripts, Django CMS (Content Management System). Python is suitable for game development with PyGame or PyKyra. Moreover, Python is considered to be one of the best languages for neural networks due to its awesome Tensorflow package. Unwanted Widgets in WordPress. How to Deal with Them?